Do you need high definition video for iTunes or YouTube? The immediate answer is No, you don’t need High Definition Video for podcasting on iTunes or YouTube. 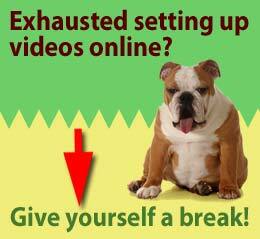 With a regular standard video format you can do everything on the web you want and more. However, in the not-so-distant future, I’m sure there is place for the HD format on the web, Brightcove.tv is already experimenting … Read moreDo you need high definition video for iTunes or YouTube?